Finally! College is useful for something. It brought us Carousel, the indie pop/electronic group whose members met while attending Berklee College of Music. Currently based in Brooklyn, Carousel is yet another weapon in the NYC borough’s ever-growing arsenal of synth heavy bands that rely on disco throwback influences, slick, harmonized vocals, glimmering electronics and an overall sunny disposition. 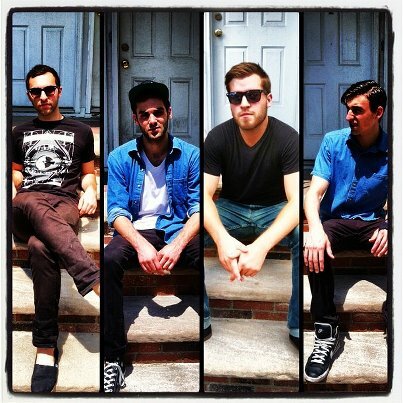 What makes Carousel, and their 5 track EP, 26 Allston, stand out is the fact that they are putting their collegiate education to good use by creating clean, impressively composed music that maintains a consistent approach while making each song stand out in its own right. If you are looking for something light, fun, and full of slick, catchy choruses, Carousel may be the ride for you. Get Up has silky harmonies, snappy electronic percussions, and for a song with a standard pop structure, this track has a pretty seductive nature. Best of Me is about as cheerful as it gets. Sometimes, it’s just good to have a song in your arsenal that can instantly make you happy. The spacey, trickling electronics, simple yet alluring choruses, and up-tempo beat do just that. There’s this surreal, somewhat magical feeling when you watch the sun rise after a night of partying in the big city. 26 Allston should help with that rare, priceless transition.